When I was in Osaka, I made it a point to go and visit Minoh Beer. I have a big project happening in spring of 2016 and I needed to go there. I have been a fan of Minoh Beer for a while because they make good quality beers. The only thing I wish they would do is make more interesting beers. Their standard lineup is really good and it is a good go to beer when I want something in Japan, so it was natural that I had to visit their brewery. Getting to Minoh is not difficult but it isn’t easy if you can’t read Japanese. From Osaka, you take the Hankyu Takarazuka Line. Take the train up to Ishibashi Station where you change over to the Mino-o Line. 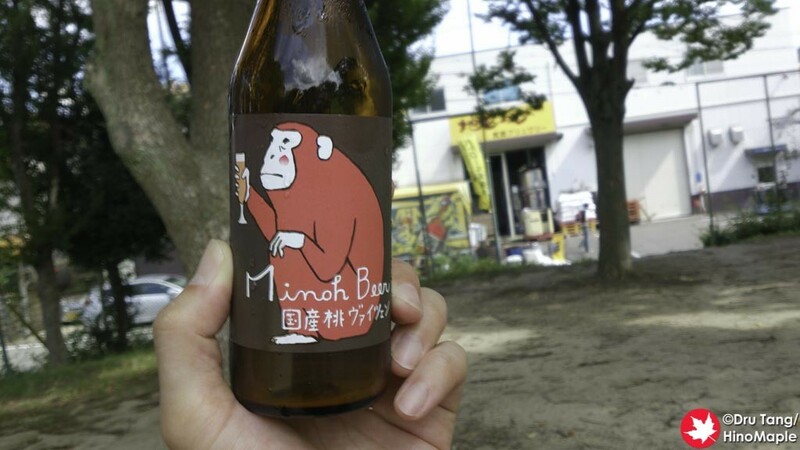 In fact, Minoh Beer is named after the area, Mino-o, a nice forested area to the north of Osaka. It doesn’t take a long time to get up to Makiochi Station, the closest station to Minoh Beer, but there is another 15 minute walk to get to the brewery. I wasn’t expecting much and when I got there it was as I expected. The brewery itself looks pretty small and after talking to one of the brewers, I was about to head to the bottle shop when a friendly face came out to say hello. 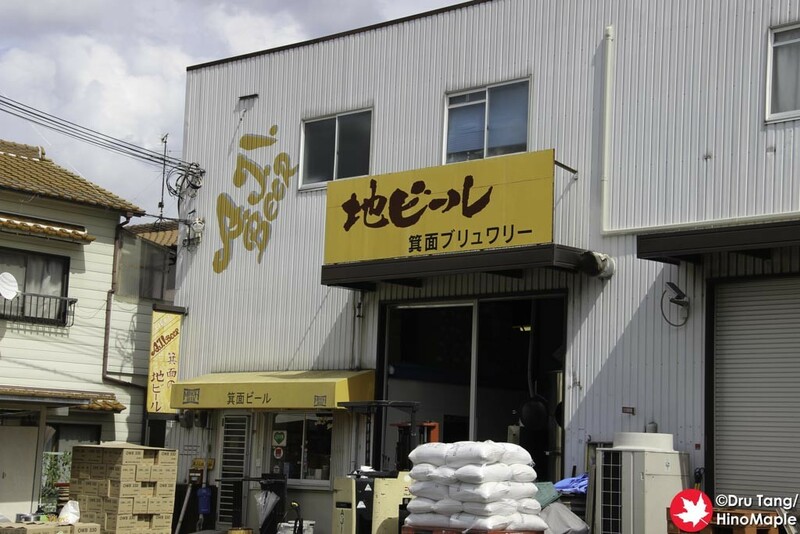 I met a couple of the employees of Minoh Beer on my trip to Onomichi and said hi to them when I was in Saitama for the Beer Keyaki. I was lucky that they were running around as they took the time to say hello to me. I wasn’t expecting anything other than to say hello. The actually brewery isn’t really open to the public but they have a bottle shop across the street. The bottle shop looks like a very small warehouse. You walk in and you have a few items on display and a fridge with bottles. I made sure to buy a bottle of something new and got their Kokusan Momo Weizen, a peach weizen. If you plan to go for a few drinks, you can buy a bottle and drink it in the park across from the main brewery. As I headed off to just enjoy a drink, I got a little surprise. They were bottling their regular weizen and I was gifted a glass of it. I can’t express how appreciative I was at the gesture and I really enjoyed it in the park. On a nice hot summer day, a cold weizen, especially fresh from maturation, is a great gift. The peach weizen was also very good and I wish I could get my hands on more of them. 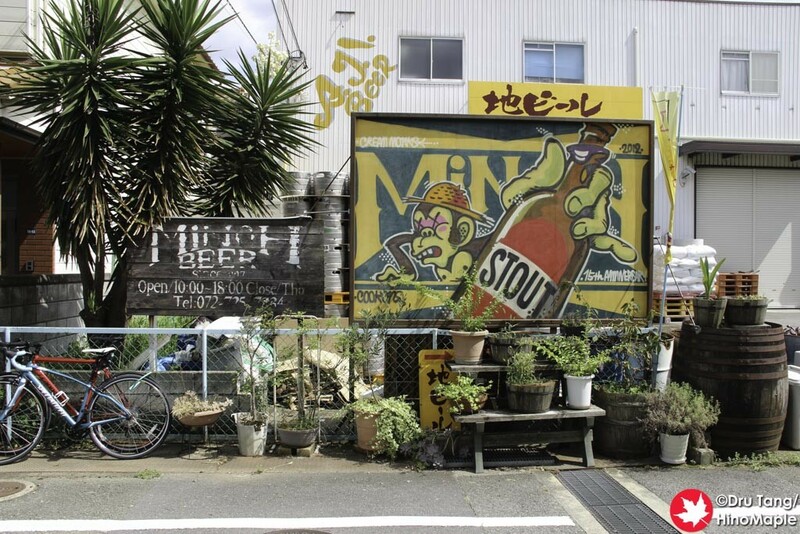 Minoh Beer isn’t a place you should really visit, yet. There really isn’t anything there for an average person. If you are a serious craft beer nut or a brewer yourself, you might want to head up there and see what is going on. There are no tours as far as I could tell but you can see some of the operations as they open up the main garage door. In the future, it will be worth a visit as I heard they are opening a tap room just down the street from the brewery. You can head to the brewery for a quick look and then down the street to the tap room for a few drinks. While I am not sure when they will open the new tap room, I heard that they are aiming for October 2015, so keep an eye out and you may want to head up to Makiochi in the near future! This entry was posted in Kansai, Kansai Food and tagged A.J.I. 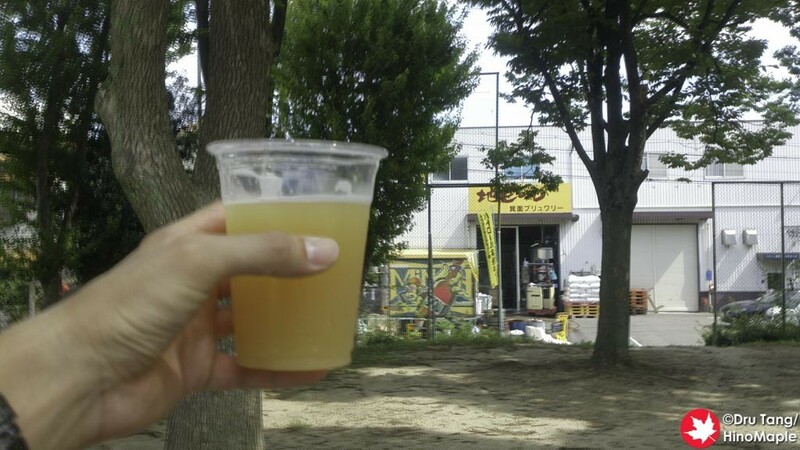 Beer, AJI Beer, brewery, craft beer, japan, kansai, Mino, Mino-o, Minoh, Minoh Beer, Minoh Beer Brewery, Minoh Kokusan Momo Weizen, Minoh Weizen, Minoo, osaka, Takarazuka, Weizen by Dru. Bookmark the permalink.